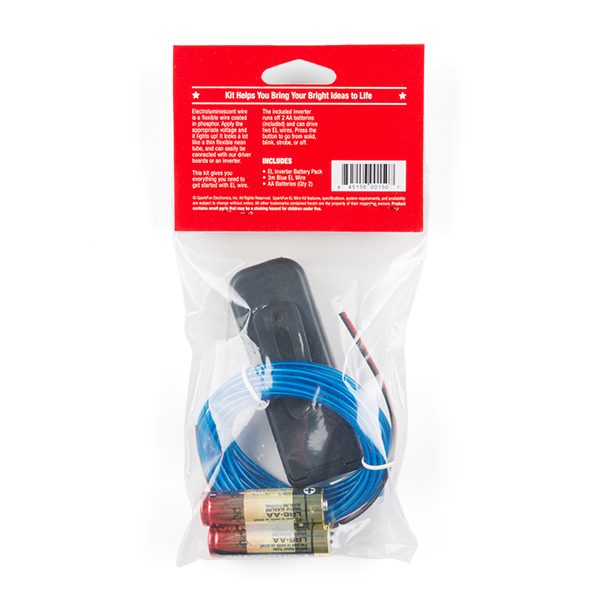 Wanna play with EL wire but don't know where to start? 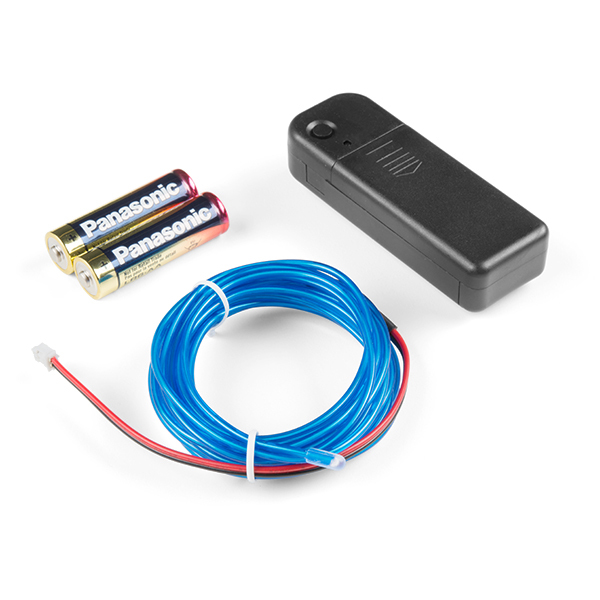 This Starter Kit has everything you need to add some electroluminescent fun to your project. Simply pop the included batteries into the EL Inverter, plug the inverter into the EL wire and turn it on. Just like that you're ready for a Tron party! ...Tron is still cool, right? Note: We've found that while the inverter has no trouble powering two strands of EL wire, it can burn itself out if you attach two EL panels or strips. If you need more than one EL panel or EL tape, you may want to look at our other EL inverters. Tron will ALWAYS be cool. 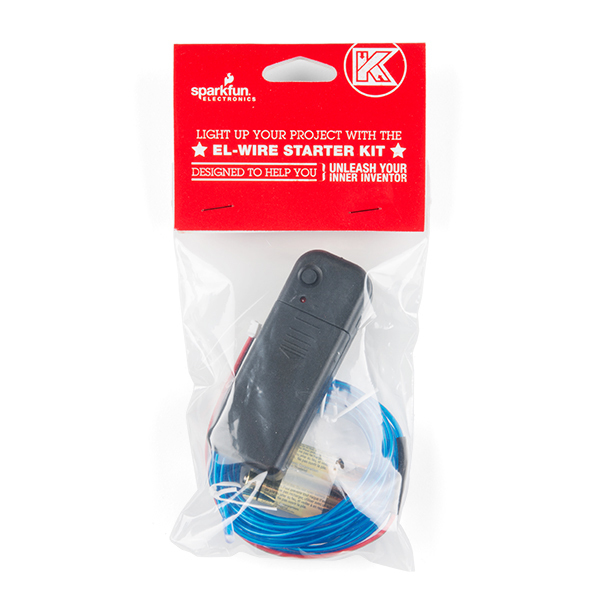 For small cheap projects, though, this works great. We used 2 of these on the kids costumes this year for halloween, they went as Daft Punk, and the EL-Wire starter kit was easy to use without any effort. It's all inclusive, so you don't need to do any additional work, just attach the wire to whatever you are putting it on and stick the battery pack in your pocket. The Wire is softer than you would think, and hopped back and forth around the needle without being punctured. 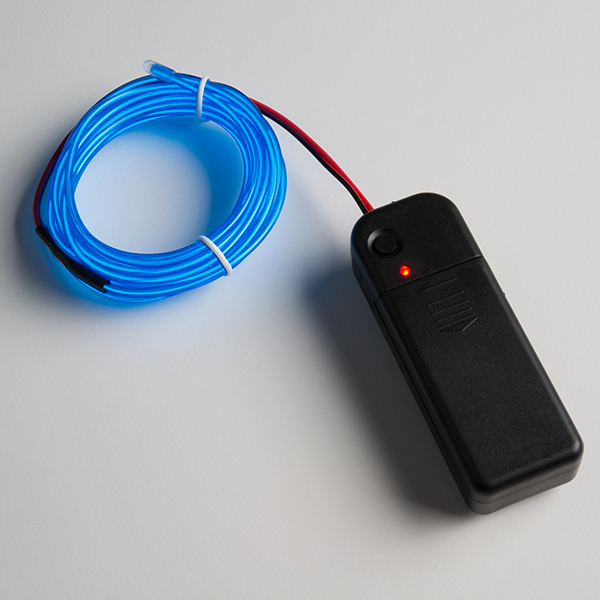 Finally an EL Wire that actually works!!!! I was so happy that this starter kit lasted the whole weekend of Coachella without any issues or breaking! The tubing is strong and sturdy but plenty flexible. Nice lighting alternative lighting to LED. The only thing that I didn't like was the shipping and handling charge (It was almost the same as the product). If you doing a project and need some cool lighting then this will do it. But other websites have it about the same price without shipping & handling.